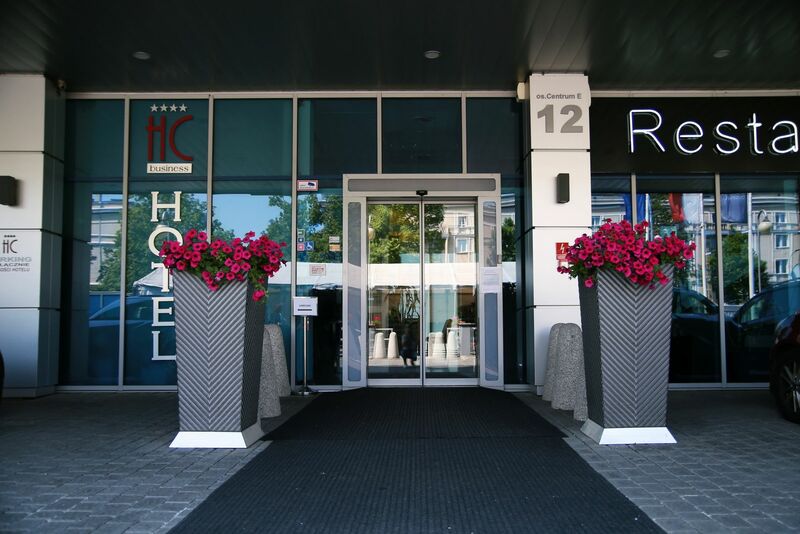 CENTRUM HOTEL – is the first 4 Star business conference center located in Nowa Huta. It is conveniently located with bus and tram stops just 1 minute walk allowing easy access to the Market Square and the historic district of Kazimierz. International Airport Krakow – Balice. The hotel has a modern style, simple but elegantly timeless, where tradition combines with the comfort and modernity. The hotel has 28 modern and comfortably furnished, well-equipped rooms. Modern decor and business nature of the object, can give you the ability to rest and provide condition for a quiet place of work. At your disposal, we offer six air-condicioned, multi-functional rooms, with a total conference area of over 500 m2, adapted to organize trainings and conferences.